It was a chilly afternoon just before the New Year when I first met Sam Wanamaker. I was in the final year of my graduate studies and, like so many others, was enchanted by the prospect of a new Globe playhouse. My brother, Mark, and I trekked across Blackfriars Bridge and happened luckily to meet Sam. Busy as he was, he found time to show a zealous graduate student around The Globe Museum and share his dream. It was one of the greatest acts of generosity I have ever experienced, and I will forever be grateful to this extraordinary human being. We corresponded over the following years, and his enthusiasm only increased as the building took form. His death before seeing the theatre's completion is, to my mind, the final Renaissance tragedy. 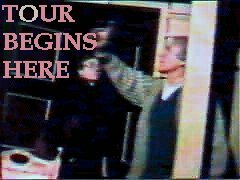 Please excuse the homemade quality of this mid-1980's video (and the adventitious commentary of my devoted brother). My heartfelt thanks to Sam and to my brother, Mark, who made this remarkable afternoon (and video) possible. I am pleased to share it with you.